We have a professional recording studio, friendly teaching staff and the best gear to help your band get the sound it needs, and to help you or your children to learn their instrument like a pro. Jamie Siever Photography offers hip, modern and genuine portrait photography. Specializing in newborn photography, headshots, and pet photography. Since 2000, we’ve been providing professional and reliable website services to a variety of organizations in the local area. We want to focus on providing a social atmosphere for children to play and interact, as well as serving as a meeting spot for local families to meet new friends. We can accommodate small parties and gatherings, so feel free to contact us about using our space! Mendoza Group was founded in 1995 as Delaware Valley’s first full-service Hispanic advertising agency. From its headquarters in Media, Pennsylvania, Mendoza Group has expanded into a multicultural advertising agency serving a wide range of national and international clients. Philip Gabriel Photography is a photography studio based in Media, PA, is Philadelphia’s premier wedding photographer and also specializes in unique portraiture and powerful corporate and commercial photography. We are strategists, designers and storytellers who create beloved brands. Blending traditional and digital communications, we deliver bold ideas and authentic stories that capture the imagination. We engage customers in ways that make a real difference in their lives. Watertable Creative is the cumulative design experience of Chris Dietrich, spanning 30 years of corporate and nonprofit work. He and his many specialty vendors and design assistants can build your brand from scratch or take your existing marketing approach to a whole new level. From concept to implementation, we evoke the core essence of your organization so that you can continue to reflect that energy back out to the world, consistently, affordably, and looking the part. We can’t wait to learn more about your next incarnation. Full Service Automotive Company serving the Media area. A family business since 1976, and your one-stop shop for all of your Oriental and area rug needs! Specializing in sales of new, antique, and pre-owned rugs both hand-knotted and machine-mades. Services include professional rug cleaning, deodorizing, mothproofing, repairs, appraisals, consignments, storage, and padding for all floor types. Free local pick-up and delivery if rugs are ready to roll! The Media office, formerly Elko & Associates, Ltd, joined Wipfli effective December 31, 2014, to enhance service to their clients through expanded services. Founded by Imi Lichtenfeld, Krav Maga is an Israeli form of self-defense designed with a wide range of real-life threats in mind, such as strikes, chokes, grabs and various other weapons. Krav Maga is natural and highly instinctual, focusing on neutralizing or eliminating the threat quickly, using force if necessary. Our system will also give you the tools to overcome the psychological trauma that may come with a violent encounter. With direct training in Israel, and direct ties to Imi Lichtenfeld, FitMax Krav Maga founder Jack Szychtel offers unparalleled quality training in self defense. Bevan’s Own Made Candy is a third generation owned and operated candy store. It is owned by Randy Bevan, grandson of the original founders. In business for 52 years, Bevan’s Candies began in 1959. His son Marty and daughter in law soon became a part of the business. By this time, many people from all over the area had heard about the custom hand made chocolates and other treats. The store expanded. The candy store and factory had now become a favorite stop for many from all over Delaware County. Walk-ins and appointments available come in and check us out! Rose’s News & Tobacco is a mom-and-pop store which has been in business under the current ownership for over 30 years. Our inventory only includes the highest quality cigars that are hand made and imported. Whether you are new to cigars or an aficionado, the owners Jay and Pravin can help you find what you are looking for. With our large selection of cigars, we can help you match your taste profile with the perfect cigar. Come check out our inventory and see for yourself! Crispy, thin-crust pizza featuring unique toppings steals the show at this bustling Italian eatery. Gluten free, dairy free, vegan and vegetarian options. 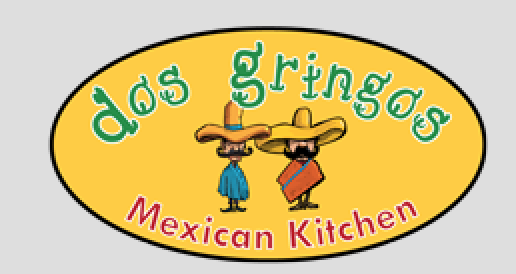 Opened in April 2011, Dos Gringos is a locally owned Modern Mexican BYOT (bring your own tequila) restaurant serving creative yet authentic cuisine in the heart of Media, Delaware County. We cordially invite you to dine with us at our restaurant or hunt down one of our Food Trucks in the area! Surrey’s mission is to help older adults live with independence and dignity and to continue as engaged members of the community. Surrey is the leader in providing solutions to seniors in our community. 35 years of extensive experience meeting the wide-ranging needs of older adults. Your total solution with a breadth and scope of services that sets us apart. A non-profit organization serving our local community members, regardless of income. Focus on the dignity and needs of the whole person and his or her individual situation. A caring, family centered philosophy. Surrey Services for Seniors is a non-profit organization offering a variety of programs, activities and support services designed to enable older adults to continue living with dignity and independence in their homes and engage them as vital, contributing members of the community. The Media Fellowship House is an organization that was formed in 1944, after two African American women and a baby were not served at a restaurant in town. Two white women who witnessed the discrimination took them to a different restaurant where they all were served. Media Fellowship House was born that day and continues to promote fellowship and understanding between diverse cultures and generations. The Coffee Beanery in Media Pennsylvania is an Internet Cafe located inside the Franklin Mint Federal Credit Union at the corner of State & Olive Streets.